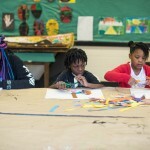 South Fulton Arts Center is a hidden gem in the South Fulton Community. Its location is snugly nestled between the Cliftondale Multipurpose Facility and the baseball field at Cliftondale Park. 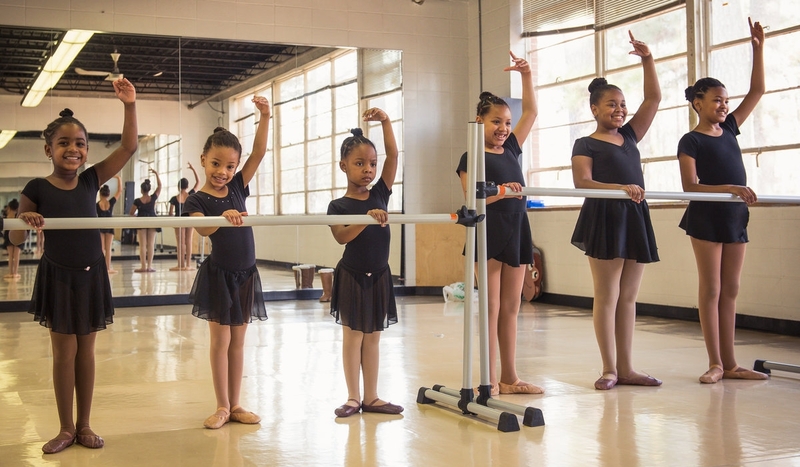 As Fulton County’s southernmost arts facility, South Fulton Arts Center strives to provide accessible, quality arts programming for the seven municipalities of South Fulton and the rural areas of unincorporated Fulton County. 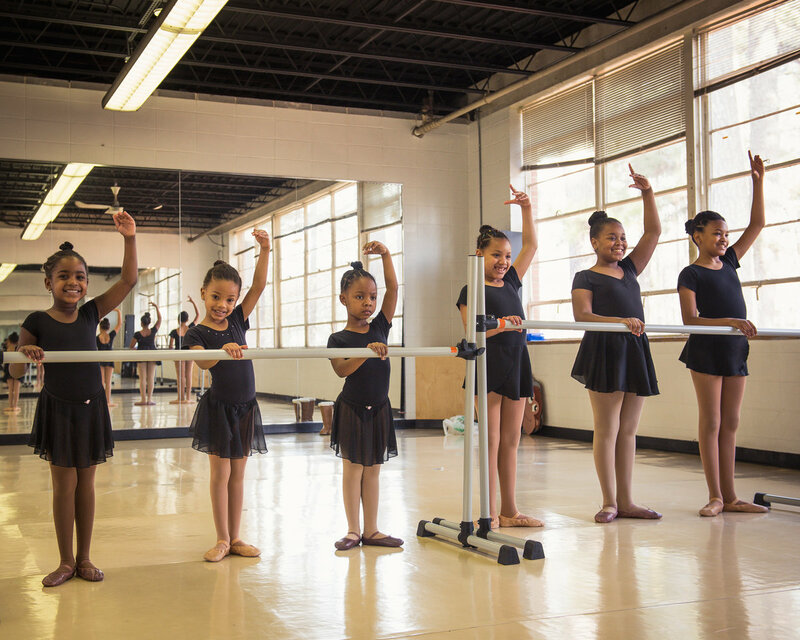 South Fulton Arts Center offers youth and adult programming in performing and visual arts for affordable fees. 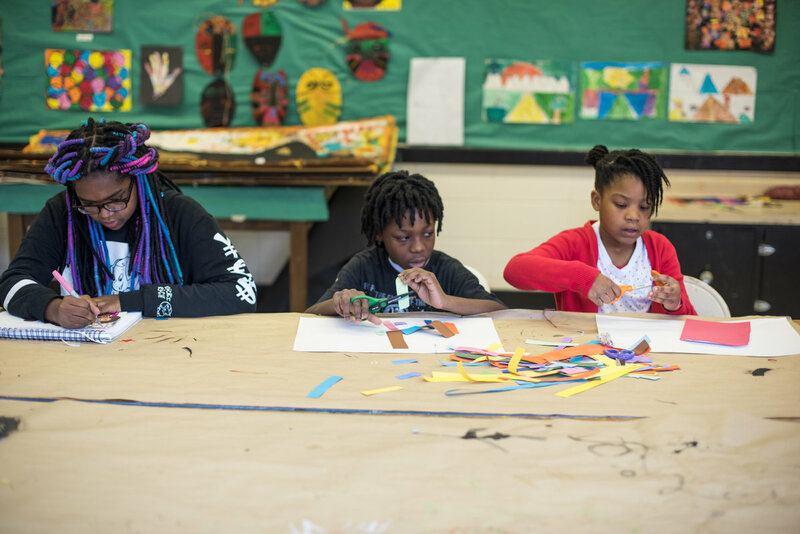 Recently renovated, South Fulton Arts offers residents a 200 seat theater which features, a fully equipped stage, updated classroom spaces, and a pottery studio. Phrases that come to mind when thinking of South Fulton Arts Center (SFAC) include “You can’t judge a book by its cover” and “Big bang for your buck.” The SFAC offers a litany of courses for kids such as children’s and youth theater, piano and guitar lessons, hip hop dance, jazz dance, contemporary dance, art adventures and animation from September through May. 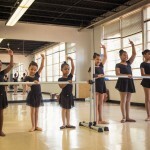 South Fulton Arts Center offers three levels of ballet classes that are taught by instructors from the renown Ballethnic Dance Company. 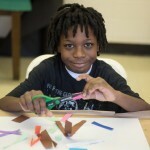 SFAC also has spring break camp in April and summer camps for kids ages 5-12 in June and teens ages 13-18 in July. 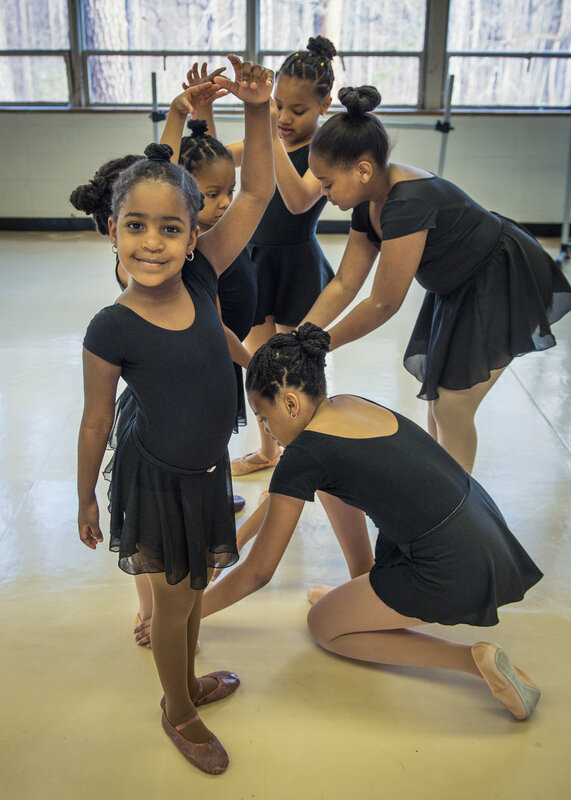 Summer camp consists of classes in theater, dance, visual arts, music, in-house field trips and a weekly student performance. If a child receives free or reduced lunch, he or she can take one course for free each session or one week free spring break or summer camp. 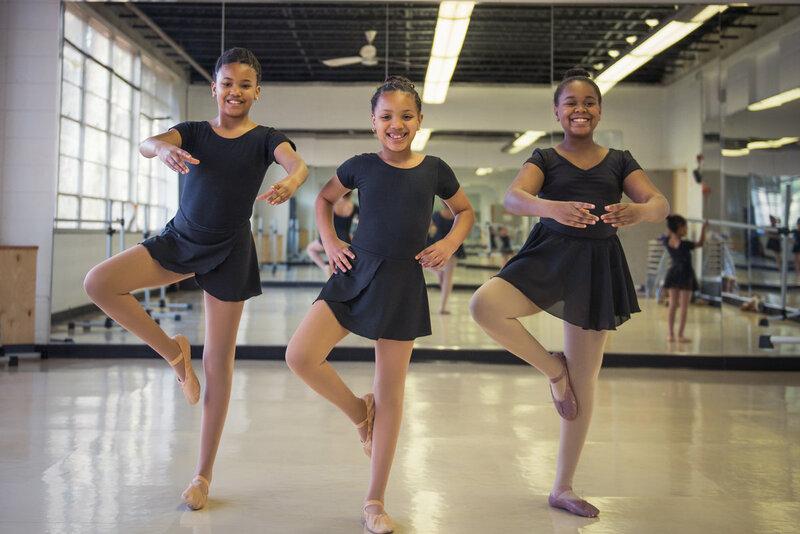 SFAC offers courses that also cater to adults and seniors such as urban cardio dance/Zumba, contemporary dance, urban line dance, individual guitar and piano lessons, inner healing stretch, yoga & Pilates fusion, pottery, drawing & painting and basic knitting. 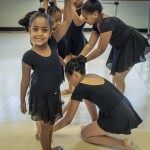 Four years ago, Dawn Funderbirk started taking her daughter, Dana, to dance classes. 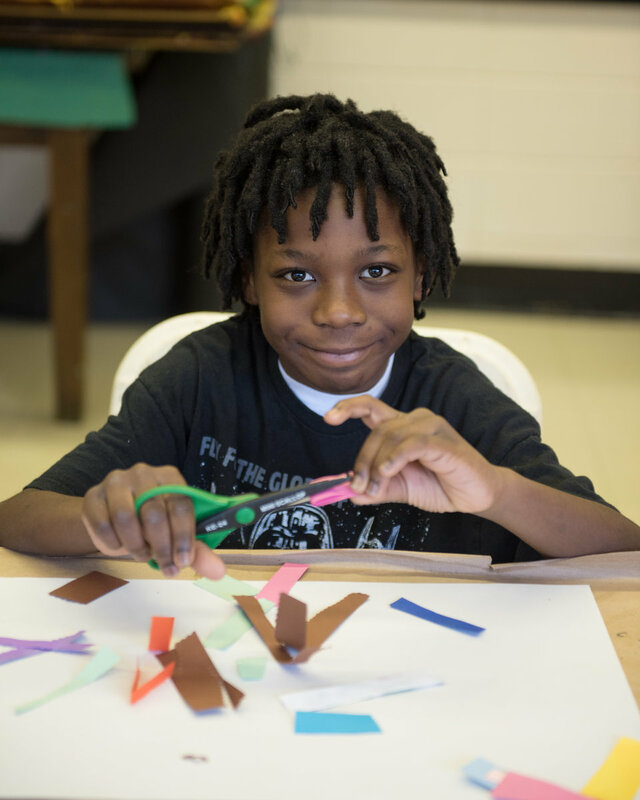 Dawn soon realized that she should take advantage of the Arts Center in her own community. Her daughter has now taken various dance classes and theater classes at SFAC. The more Dana came to SFAC, the more she observed its benefits. 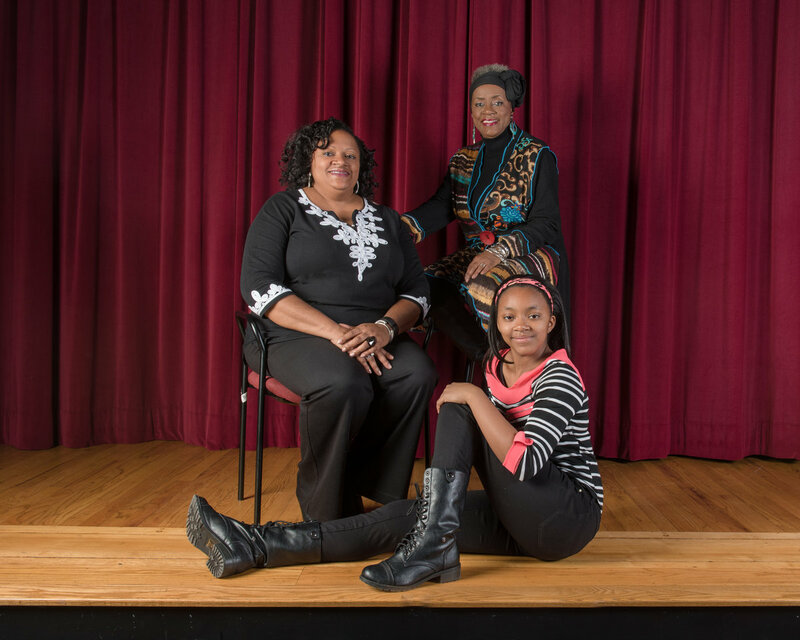 Three generations of her family attend South Fulton Arts Center almost daily. Dawn appreciates the increase in self-esteem, confidence, and imagination from her daughter’s participation in theater. She loves the fact that her mom, Sandra Adams’s, increased interest in art and inner healing stretching, keeps her mind sharp and body active. Dawn now takes the time to devote to her own health and wellness via her Zumba class. She admits that she is more likely to go to classes because it is so close to home. Kenya Green thinks that SFAC is an awesome place. It is smaller, but that allows for more personalized relationship development with the teachers. 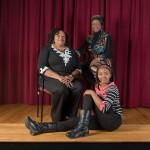 Her daughter Tamina has enjoyed the teen visual arts program. It has honed her talents and introduced her to a variety of art media; from drawing and painting to animation. 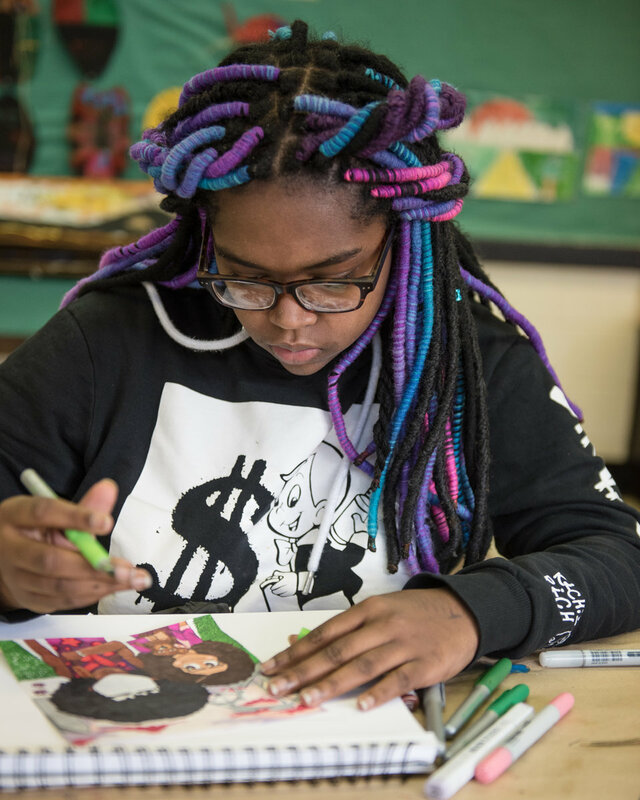 Tamina’s innate talent along with the skills she acquired from SFAC, allowed her to gain entry to the magnet program for visual arts at her high school. Nikka Keith was looking for activities near her house for her son, Christopher, and daughter, Christina. 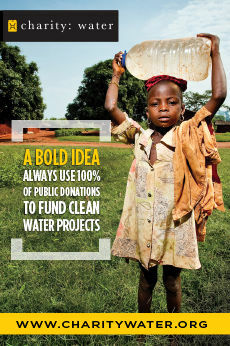 Once she discovered SFAC, she felt that it was easy and affordable to get her kids involved. Her son takes the acting class, hip-hop dance class and occasionally the art class. Nikka participates in the Urban Line dancing class. She believes that the staff is truly committed to the children and the community as a whole. Nikka feels that she and her kids are becoming a part of the family at the SFAC and truly loves the experience. “The atmosphere is so positive and encouraging to the children.” She particularly loves the art displays that adorn the walls. As for Christopher, he enjoys all the classes, especially the dance class. Her son is a shy kid and it takes him awhile to make friends, but the kids at the Center are opening up to him. Her son looks forward to class every week and that is what makes her happy. 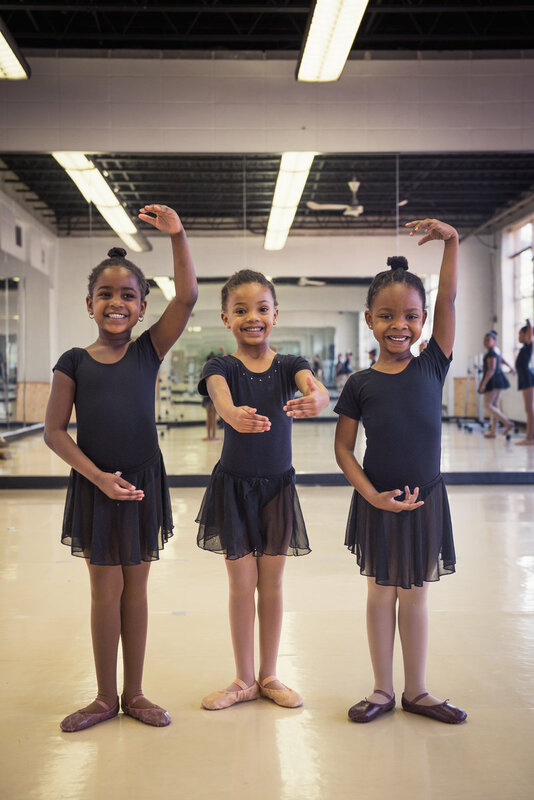 Uchefuna Singleton and her husband began taking their oldest daughter, Layla, to “intro to movement” classes at another Arts Center when she 3 years old. They later learned about SFAC from other parents and appreciated that SFAC is not only closer to their home but in addition, also provides a more intimate setting. 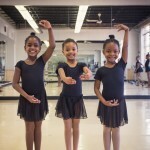 Over the past five years, both their daughters, Layla and Lily, and Uchefuna herself have taken a variety of art and dance classes at SFAC. 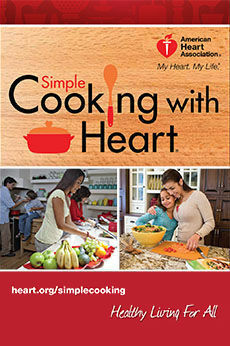 Uchefuna has recommended SFAC to several friends and family members who love it as much as she does. 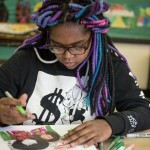 She has been pleased to watch her teenage niece, Amaya thrive as an artist under the tutelage of the awesome teachers at the SFAC during regular classes and in the Summer Teen Intensive session. Uchefuna really values the small classes and close connections that come from the intimate setting at SFAC. The connections are particularly important for her daughter Layla, who has been diagnosed with an autism spectrum disorder. “The leadership team, staff, and teachers take the time to relate with Layla in a meaningful way every time that we come to the center.” She feels that Layla has directly benefited from the access to creative endeavors with industry experts who genuinely care about her well being. Singleton believes that the SFAC is also a great place to have fun! She’s enjoyed the special programs, like the three hour Zumba party and the screening of films by Karyn Parsons’ Sweet Blackberry Film Company. She also loves that the leadership team always finds creative ways to engage both children and adults in the arts.